An investigation by the World Health Organisation (WHO) and the International Agency for Research on Cancer (IRAC) has concluded drinking very hot beverages probably causes cancer of the oesophagus in humans. The investigation did not find any conclusive evidence to say consuming coffee can cause cancer. “These results suggest that drinking very hot beverages is one probable cause of oesophageal cancer and that it is the temperature, rather than the drinks themselves, that appears to be responsible,” said Dr Christopher Wild, IARC Director. The conclusion that very hot beverages can “probably” cause cancer was based on limited evidence linking oesophagus cancer and drinking very hot drinks. The researchers for example found in countries where tea is drunk very hot (approximately 70 degrees celsius) there was an increased risk of orsophageal cancer as the beverage temperature increased. “Smoking and alcohol drinking are major causes of oesophageal cancer, particularly in many high-income countries,” stresses Dr Wild said. “This is another example that highlights the difficulties faced in weighing evidence for cancer risk from food. While lots of studies claim a link between various foods and either increased cancer risk, or a protective effect, in many cases the evidence is unconvincing and often contradictory. This can lead to general confusion among consumers, where every new study seems to contradict the previous one. “IARC reviewed more than 1,000 human epidemiological studies and animal experimental studies that investigated whether or not coffee causes cancer. Notwithstanding the large volume of research, IARC concluded that coffee drinking is unclassifiable as to its carcinogenicity (capacity to cause cancer) to humans. IARC’s report, however, found evidence that suggests that coffee drinking protects against human endometrial cancer (cancer of the lining of the uterus), liver cancer and breast cancer. This evidence was apparently not considered strong enough to suggest that coffee drinking lacks carcinogenicity (a conclusion that IARC sometimes reaches). From a practical public health perspective, however, it would be reasonable to conclude from the IARC review that coffee drinking is unlikely to increase a coffee drinker’s risk of cancer. “IARC reviewed a much smaller body of evidence on whether or not drinking very hot beverages can cause cancer of the oesophagus (gullet). It concluded from this evidence that drinking very hot beverages at above 65 degrees Celsius is probably carcinogenic to humans. “The International Agency for Research on Cancer scans the world literature to determine how likely it is that an agent causes cancer. In this case after reviewing 1000 animal and human studies they have found no evidence that drinking coffee causes cancers of the breast, pancreas and prostate and found reduced risk of liver and endometrial cancer. “This is a very large number of studies which gives confidence in this result. There is no evidence that any particular type of coffee is worse than any other. Coffee had previously been thought to be possibly associated with bladder cancer. This shows how just having a small number of studies can cause uncertain results which are clarified by considering a very large number of studies. It also shows that if other known causal factors are not controlled for, in this case smoking, the cause of the cancer can be attributed to an agent that is merely associated with the cancer but does not cause it. “The cancer causing potential of drinking coffee has been re-evaluated by the International Agency for Research on Cancer (IARC) after a 25 years and has been down-graded to ‘no conclusive evidence’ as carcinogenic to humans. The available evidence has grown substantially over the time and enabled a more extensive analysis with a variety of cancers studied. The IARC committee suggest that other factors such as smoking may have accounted for the original classification as possible carcinogenic in 1991. At that time it was common for people to both drink coffee and smoke. 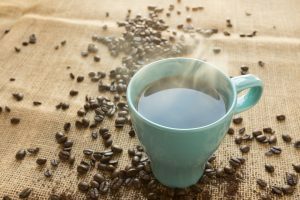 “Coffee drinkers should be comforted to know they are not increasing their cancer risk – as long as their coffee isn’t too hot. The risk applies to beverages at 65 degrees Celsius or hotter. As a guide, a beverage at that temperature is likely to be uncomfortably hot for some people to drink. So let the drink cool a little and enjoy it. “This IARC analysis should help dispel the myth that everything causes cancer – and help get the focus back on things we can all do to reduce Australia’s cancer burden.